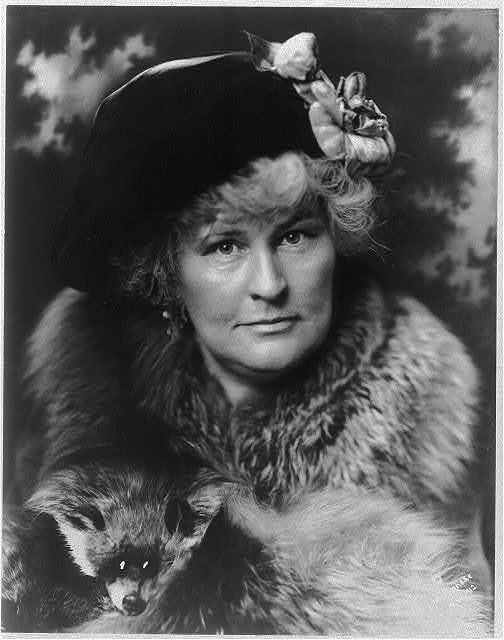 In 1890 (after writing for the Chicago Tribune as Winifred Black), she found work at William Randolph Hearst's San Francisco Examiner as Annie Laurie. 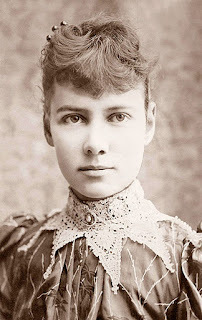 The name Annie Laurie was a reference to her mother's favorite lullaby and a tribute to her contemporary Nellie Bly. In 1900, she dressed as a boy and was the first reporter at the Galveston Hurricane. She delivered an exclusive and Hearst sent relief supplies by train. In 1906, she covered the 1906 San Francisco earthquake. In 1907, she had a front-row seat at the murder trial of Harry Thaw. Her coverage of the trial and descriptions of Thaw's wife, Evelyn Nesbit, earned her the label of “sob sister” (a label given to female reporters who wrote human interest stories). In addition to being a reporter, Winifred was a telegraph editor, biography writer, columnist, fundraiser, relief work organizer, and the author of two books (written under the name Annie Laurie) The Little Boy Who Lived on the Hill (a children’s book) and Roses and Rain. In 1880, Elizabeth moved with her family to Pittsburgh where she read a newspaper column titled What Girls Are Good For that said girls were principally for birthing children and keeping house—which prompted her to write a response under the pseudonym "Lonely Orphan Girl." Impressed with her passionate response, the editor of the newspaper ran an advertisement asking the author to identify herself. When she did, he hired her to write as "Nellie Bly," a pen name chosen from the title character in the song Nelly Bly by Stephen Foster. In 1888, she suggested to her editor that she take a trip around the world, attempting to turn the fictional Around the World in Eighty Days into fact for the first time. On November 14, 1889 (with two days' notice and carrying only a small travel bag with a few essentials) she boarded a steamer and began her 24,898-mile (40,070-kilometer) journey. Just over seventy-two days later, she’d circumnavigated the globe and was back in New York. During World War I, she reported stories on Europe's Eastern Front. She was the first woman and one of the first foreigners to visit the war zone between Serbia and Austria. She was even arrested when she was mistaken for a British spy. In addition to being a reporter, Elizabeth was an activist, industrialist, inventor (with patents for a novel milk can and a stacking garbage can) and a charity worker. 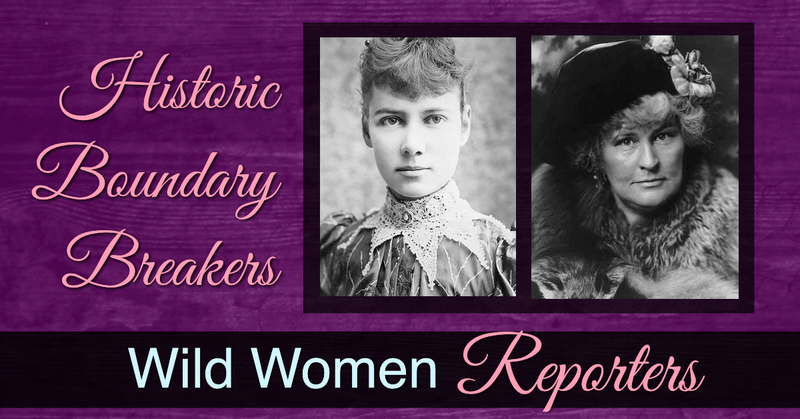 Do you have a favorite story about a boundary-breaking 19th-century reporter? where the men are steadfast & the women are adventurous. Women are amazing, Jacqui. 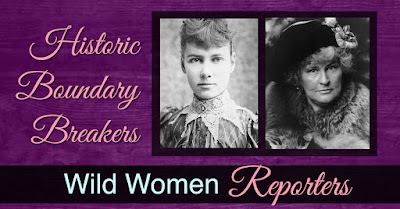 So glad you reported on Annie Laurie and Nelly Bly. I've just finished a WWII book about "gunner girls," women of the ATS who served on the ack-ack guns. They used the searchlights, calculated the range and position of enemy aircraft and sighted the gun, but it had to be a male gunner who actually fired the mechanism. They were paid 2/3 the rate paid to men. I love this. It goes to show that despite obstacles for women back in the day, it didn't slow down those hardy souls that were determined to do a man's work. 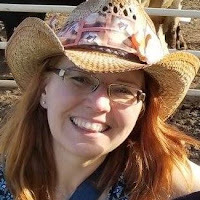 Great inspiration for a heroine! Alice, your WWII book sounds intriguing! Unfortunately, I'm not surprised the women were paid less for their work. That history is still being repeated.